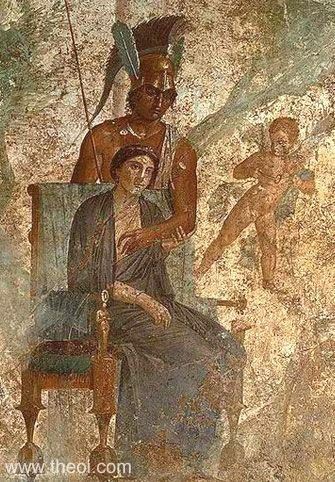 Ares (Roman Mars) carresses the breast of Aphrodite (Roman Venus). The god wears an elaborate crested helm and the goddess is seated on a throne. The couple are accompanied by Eros (Roman Cupid), the winged god of love.